Vodka that tastes like whiskey, what?! Yes, it’s true. Absolut Vodka has quite literally taken the clear spirit to a very dark place and GAYOT was among the first in Los Angeles to try it. 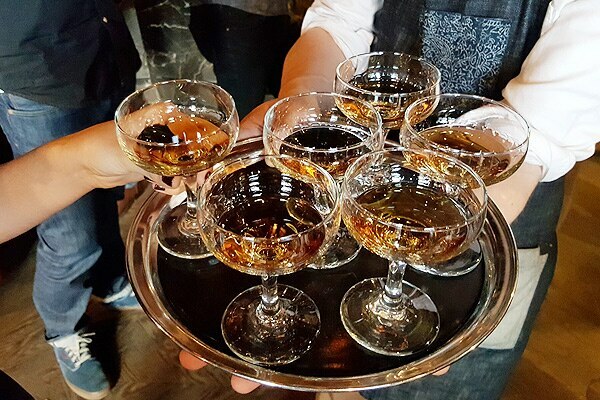 The intimate tasting at local hot spot Estrella Restaurant on the Sunset Strip introduced the versatile spirit straight-up as well as in a few different cocktails. Smooth and subtly smoky with notes of oak, vanilla and caramel, it’s a new spin on an old classic. 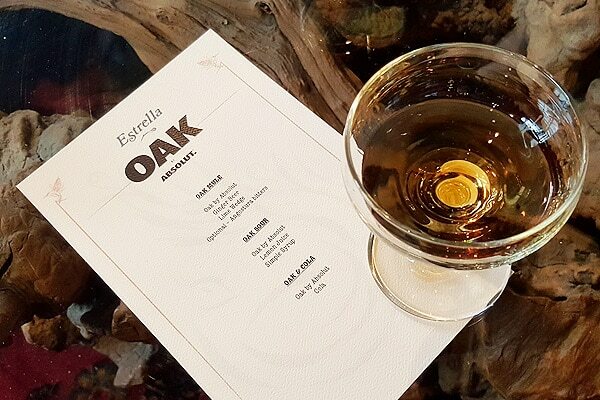 Guests gathered in a private back room at Estrella restaurant where oak barrels helped set the scene. Invited guests were select members of the media as well as social media influencers. Absolut had folks from New York and Sweden fly in for the event. 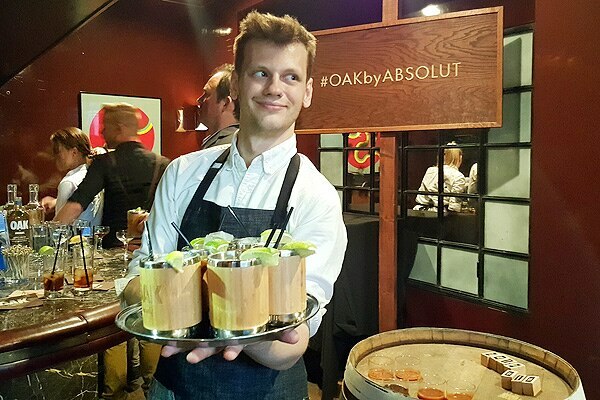 The evening began with an introduction to Oak by Absolut in its purest form: straight up. We sipped it, much like bourbon, before trying it mixed in cocktails. 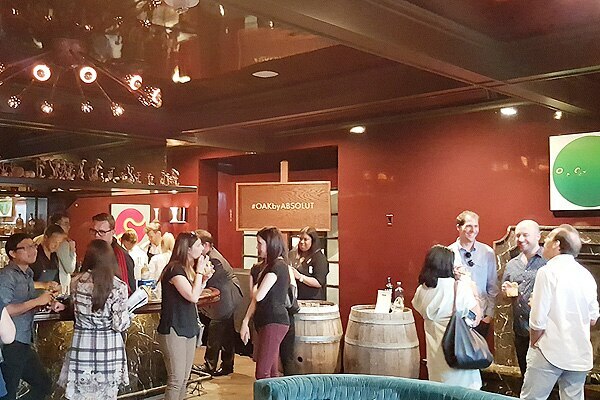 Oak by Absolut is only available in a handful of markets, including Boston, Denver, Indianapolis, Minneapolis, Portland, San Diego, San Francisco, Washington, D.C. and now Los Angeles! 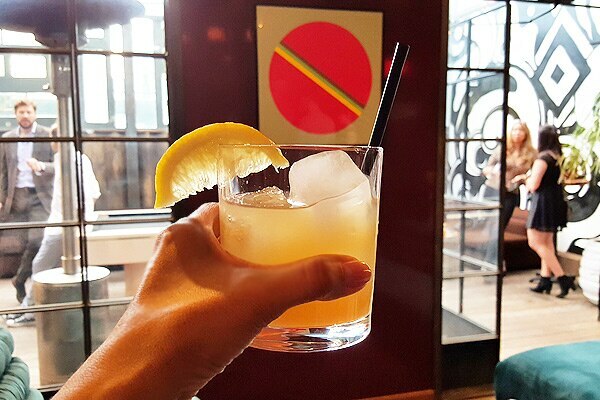 Bright and slightly tangy, the Uppsala Sour — made with two parts Oak by Absolut, one part lemon juice, one part simple syrup — is a refreshing cocktail on a warm evening. 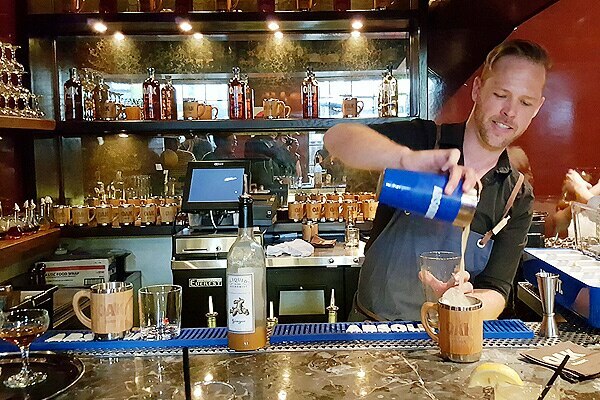 The Oak Mule (aptly served in an insulated mug lined with wood) can be made with two parts Oak by Absolut, five parts ginger beer and lime wedge. Cheers!